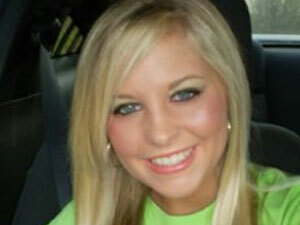 (CBS/WTVF/AP) PARSONS, Tenn. - Heavy rain moving through western Tennessee has hampered the search for 20-year-old nursing student Holly Bobo, who was last seen being dragged away from her home by a man in camouflage, officials say. A break in the rain midday Friday allowed volunteers and police to resume the search for Bobo, near Parsons, about 100 miles northeast of Memphis. Authorities don't have any suspects in the case, which is being investigated as an abduction, said Decatur County Sheriff Roy Wyatt. Wyatt announced a $25,000 reward in the case at a press conference Thursday. Bobo has been missing since Wednesday. Her older brother told authorities he saw a man wearing camouflage drag her from her home toward the woods. Several law enforcement agencies and hundreds of volunteers have searched the surrounding woods and fields.